Hello everyone! Stephanie here to share my Guy Style project for the blog challenge for the month of May. Male themed projects are always a challenge for me. I did know I wanted to use the Baked Texture embossing powders for this one though! I think Patina Oxide and Chunky Rust were made for each other!! 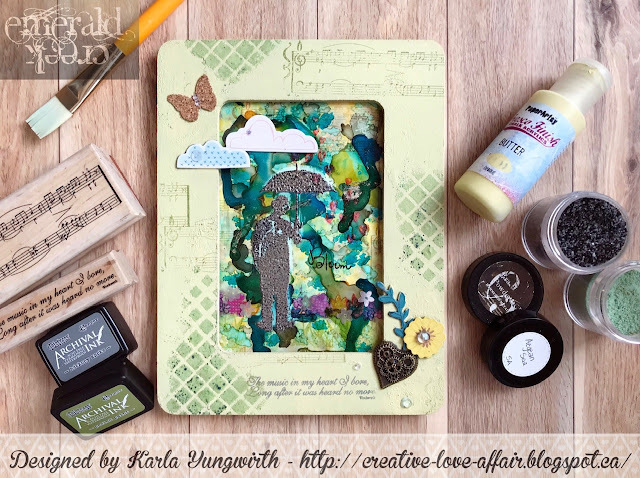 With the Baked Texture powders as my inspiration I dug through some of my vintage ephemera and found some nautical themed pieces: vintage napkin, old birthday postcard from 1913 and random Tim Holtz ephemera. I used the Seth Apter Frameups 1 stamp and cut the middle out to create a porthole. The "porthole" was then covered in Chunky Rust. I added Patina oxide to give it a true metal porthole feel. This piece was used to frame the male image. I layered several pieces of ephemera on the old postcard. I inked the edges of the various pieces with embossing ink and added a few layers of Baked Texture Ancient Amber. To complete the card I coated Emerald Creek Mini Camera Charm in Ancient Amber embossing powder so it would match my card. I used a piece of fiber to attach the camera to an Emerald Creek Antique Silver Circle Dot Brad that I had coated in Charred Gold embossing powder. I absolutely love how well the metal charms and brads can be covered with embossing powder to perfectly match your projects! Check out my YouTube to see the process video! Close up of all the yummy texture! Look at how much the Patina Oxide and Chunky Rust looks like REAL rusted metal! 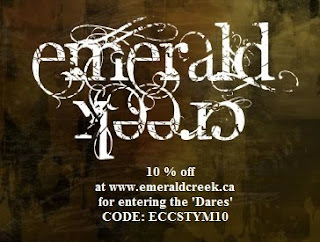 Emerald Creek Embossing Powder awesomeness! I hope you enjoyed my project this month as much as I enjoyed making it!